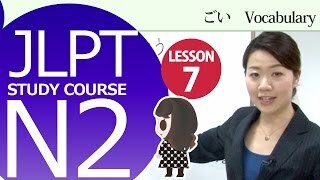 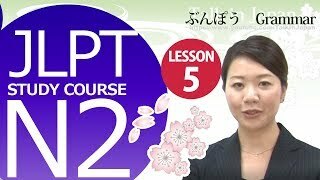 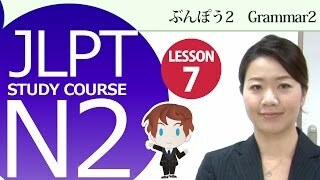 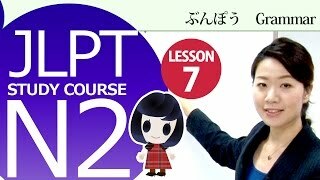 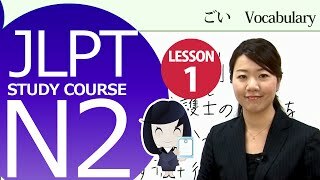 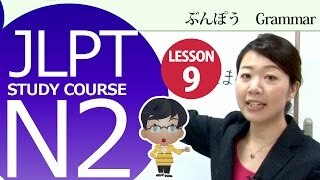 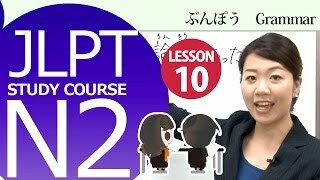 The “Online Japanese N2 Course” is Japanese study materials related to the JLPT N2 level. 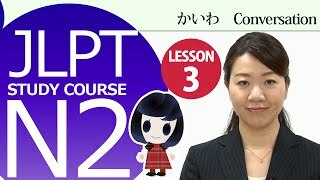 You can study vocabulary, grammar, reading comprehension that corresponds to the JLPT N2 level. 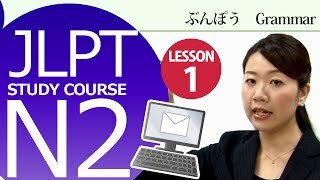 The Japanese of N2 level is applied in actual conversations, so this course is useful for JLPT preparation and advancing your Japanese communication proficiency. 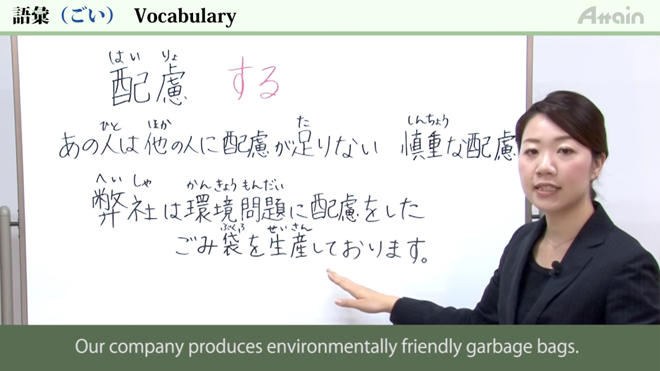 All of the narration contains English subtitles, so that foreigner Japanese learners can freely study. 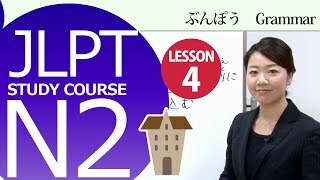 In addition, for those countries unfamiliar with kanji, hiragana characters are added above all of the kanji, so that learners can study effectively. 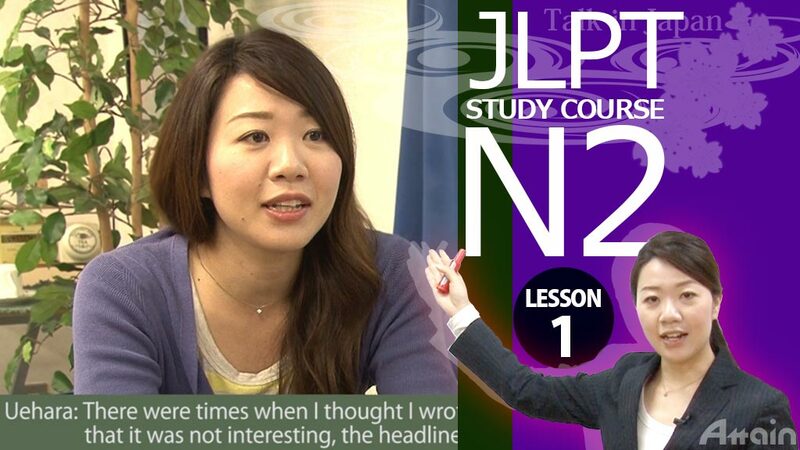 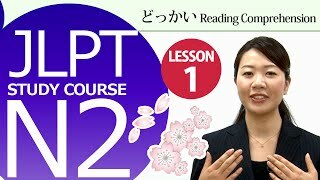 The “Online Japanese N2 Course” is a Japanese study material related to the JLPT N2 level. 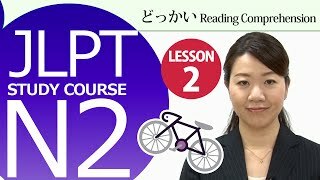 You can study vocabulary, grammar, reading comprehension that corresponds to the JLPT N2 level. 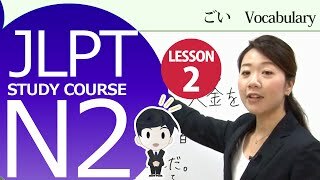 The Japanese of N2 level is applied in actual conversations, so this course is useful for JLPT preparation and advancing your Japanese communication proficiency. 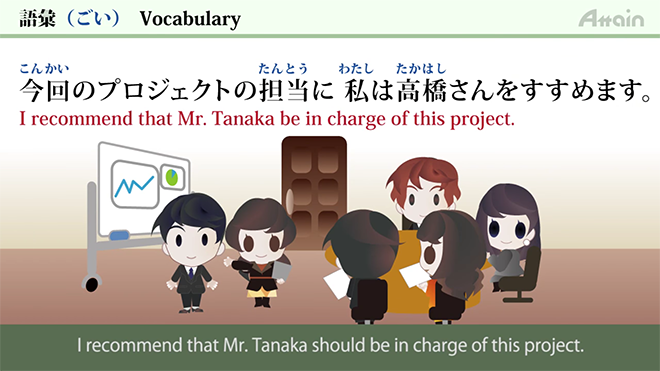 All of the narration contains English subtitles, so that foreigner Japanese learners can freely study. 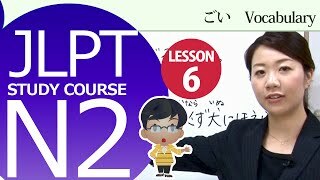 In addition, for those countries unfamiliar with kanji, hiragana characters are added above all of the kanji, so that learners can study effectively. 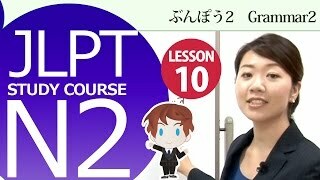 Lesson 1I had no choice but to move to Kyushu soon after I found the job. 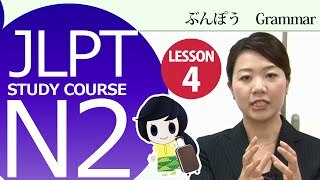 Lesson 2 If you don't apply for advanced registration, you cannot use there. 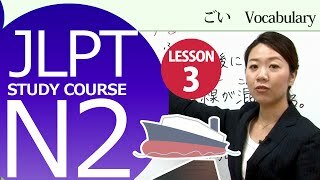 Lesson 3 If you backup the data in your own way, the important information could get leaked. 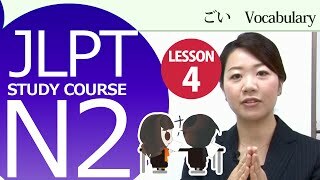 Lesson 4 It says "Join the company trip and interact more with people in different departments." 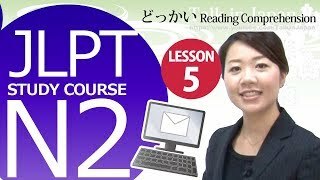 Lesson 5 I will contact you about the schedule through email later. 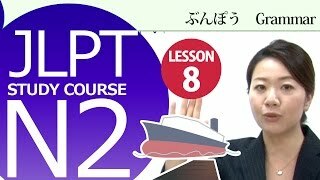 Lesson 6 If you search the recipe online, you don't need to buy a cook book. 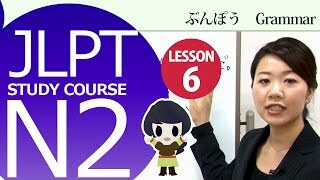 Lesson 7That hotel is very famous for its good facilities and service and it goes without saying that the hotel is the best hot spring resort. 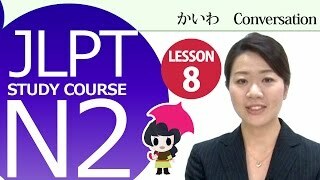 Lesson 8If a typhoon comes, the tour will definitely be cancelled. 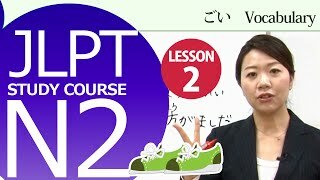 Lesson 9I worried about the exam so much that I couldn't fall asleep yesterday. 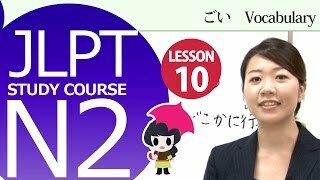 Lesson 10If you take your pet to the shelter, please behave based on the instructions and rules of the local government and be considerate of the people around you.